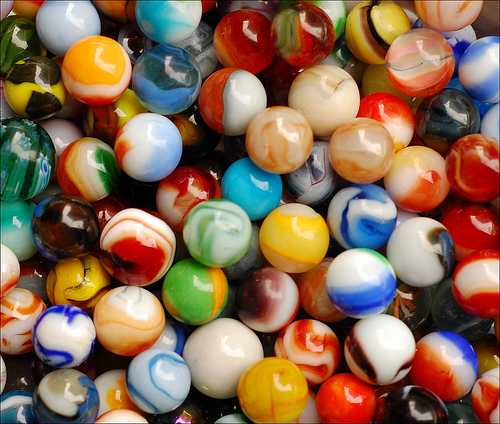 Image: Marbles, many marbles. I think I have lost mine in a sample of many marbles. I’ve been re-running analyses today on my population of survey responses. I decided to remove some more responses to eliminate some the scatteredness in the population. The majority of responses were from European PvE (player versus the environment) realm players, so I removed the four American realm players and then the five non-PvE players, leaving me with a sample of 30. The more I read about sampling, the more confused I am. 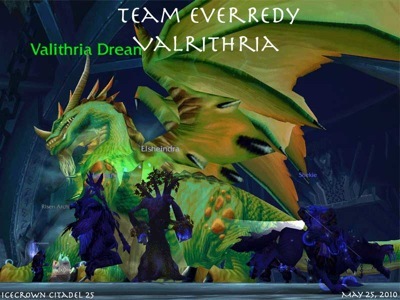 Image: Elsheindra and the 24 other members of Team EverREDy successfully heal Valithria Dreamwalker in Icecrown Citadel. Here, the challenge isn’t to slay the dragon, but to heal her. While whether she lives or dies isn’t a matter of perspective, how you react to finding someone else has done your thesis work can be a challenge to rise to or a disaster. It’s all in how you look at it. Tony Hirst (@psychemedia) built a Google custom search engine that scraped the profiles of Twitter users employing the #altc2010 hashtag for website addresses. 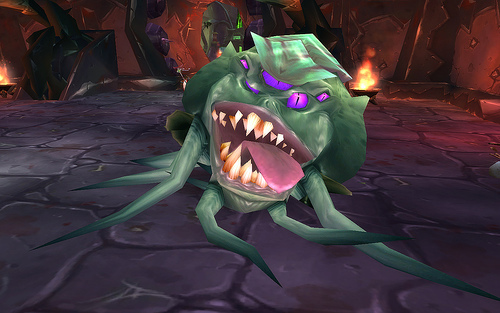 For a laugh, I typed in “World of Warcraft”, not expecting much to show up other than myself. Well, I was there, but so was mention of a poster and a talk entitled “Cultural Capital and Community Development in the Pursuit of Dragon Slaying (Massively Multiplayer Guild Culture as a Model for e-L:earning)” at the 2007 Alt-C conference by David White. That pointed me to an Alt-C talk and a GLS one in 2007. So, not long before I started my Ph.D., David was already out there talking about this. Ouch! The “ouch” part is that I met him earlier this year at a gaming-related discussion panel. He was chairing my table, but we were discussing digital residents and visitors. David follows me on Twitter too! World of Warcraft has never come up. The abstract mentions guilds, World of Warcraft, social capital, and communities of practice. His description is eerily similar to my current focus. Unfortunately, I couldn’t find a matching paper for the talk. There’s just the GLS 2007 26-minute talk embedded in the blog pos from Tall Blog. I’d best add this to my list of things to investigate soon. It sounds very, very relevant. Perhaps he has something I can build on or I will obtain some ideas on how to differentiate my work. 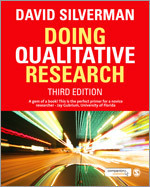 I am also interested in seeing his ethnographic approach and what he discovered. This is a challenge, not a disaster. There is always something different you can do. You just need to find it. WoW Survey Design: Putting the Horse Before the Cart? I’ve been thinking about the design of the study I want to do on motivation in World of Warcraft. My immediate approach, similar to introductory programming students, was to jump right into the meat of it and start writing survey questions instead of planning. In order to get the data you need in the study, you need to know what questions you want answered. You need to plan. Without knowing that, how can you write survey questions to elicit those answers? So what is it I want to know?